Join Bohme in raising money during Sexual Assault Awareness Month. Donate to the cause today! 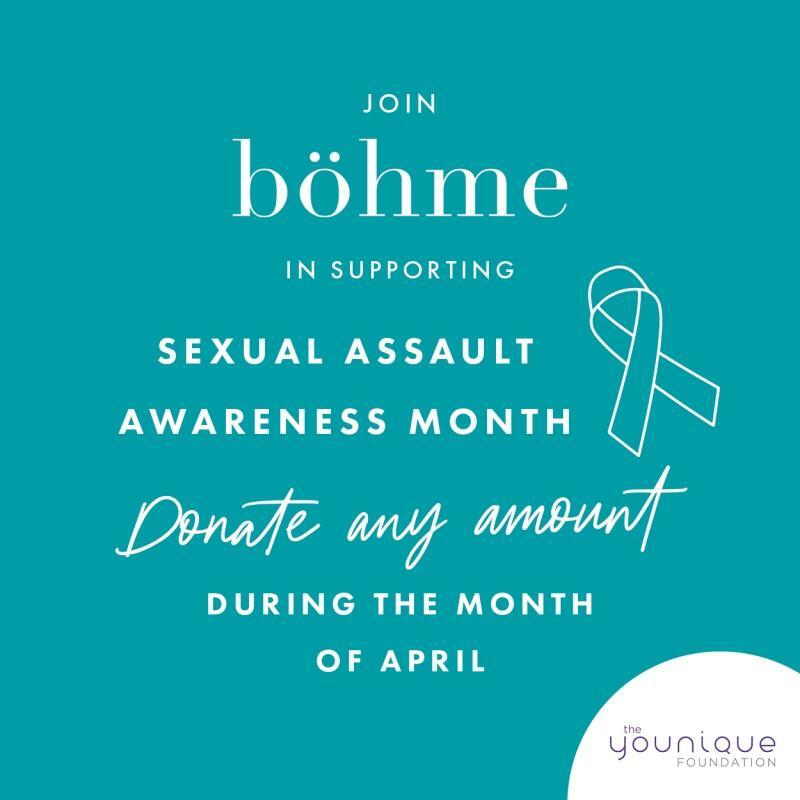 Bohme is excited to announce that they are partnering with the Younique Foundation to raise money and awareness for Sexual Assault Awareness Month during the month of April. Please stop in this month and donate any amount to support the fight against sexual abuse and help victim recovery programs! See store associate for more details.